With our own Palawan plans cancelled, and not to mention being stuck in Manila with loads of work to do, one can only dream to escape and be swept away. What makes me feel even more worse than I already am, is the fact that this is the only year in the last 10 consecutive years that I have no Boracay trip scheduled. So thank you for this beautiful set, Oly. At least we can have this in the blog. 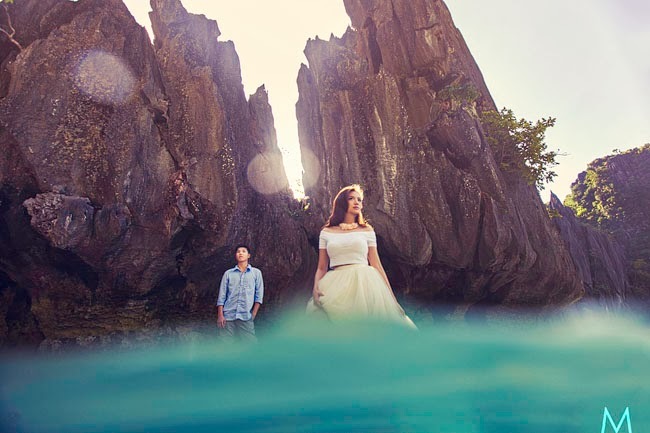 To dream of days like Marki and Gun's breathtaking engagement session. "Sometimes there are things that are just innately beautiful you can’t help but just be swept away. Now when these natural charms are present in both the subject and the location, there is no reason why it shouldn't be special. 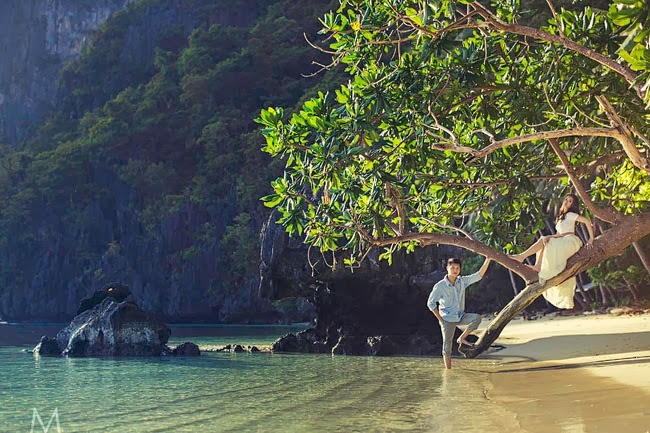 And that’s what we bring you today, the stunning pre-wedding shoot of Marki and Gun (yes, Gun like the gun – because he’s macho like that) in no less than El Nido Palawan. For a knockout to happen is no easy feat. Luck, cost, and a lot of handwork are the staple. But in Metrophoto, we seem fortunate enough to experience it often and Marki and Gun’s shoot are easily a standout. 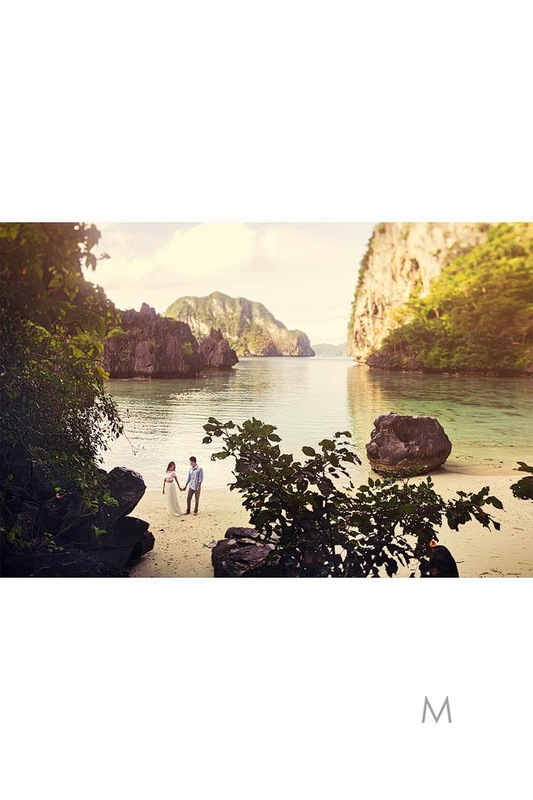 Palawan is one of the most breathtaking provinces in the Philippines and El Nido is one of main reasons that it is. The place is jaw-droppingly beautiful, in a league of its own. 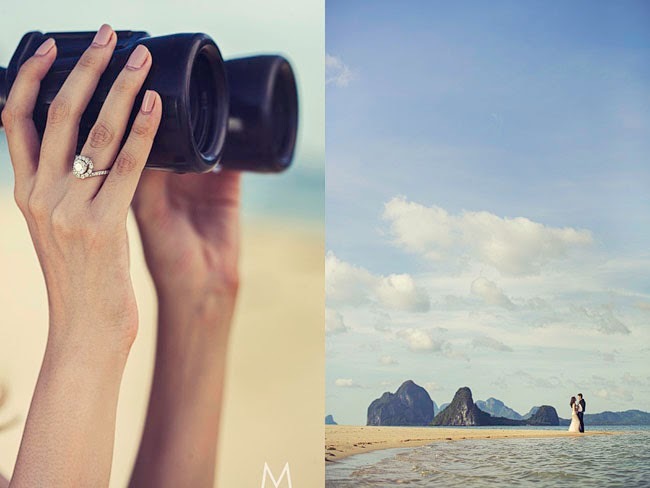 I’ve been to many many beautiful places and still El Nido has charmed like no other. And to have the opportunity to not just experience it but also photograph it is just unbelievable." Marki also, I should just say, is a very gorgeous bride, one that can easily match up to the marvel of El Nido. 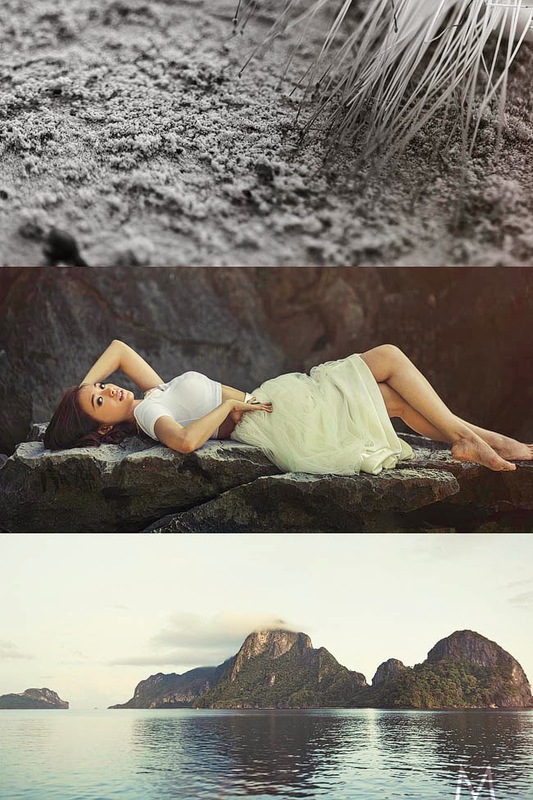 She and Gun, effortlessly fused with the island to create brilliance. It was an experience I immensely enjoyed and will never forget. Special thanks to my team and to Cherry Pacheco for Marki’s make-up. Please, enjoy the photos.